If you are interested in helping out with any of these opportunities, please contact the church office for more information. We are a congregation greatly affected by cancer in the past few years; we all know someone who is bravely battling cancer. 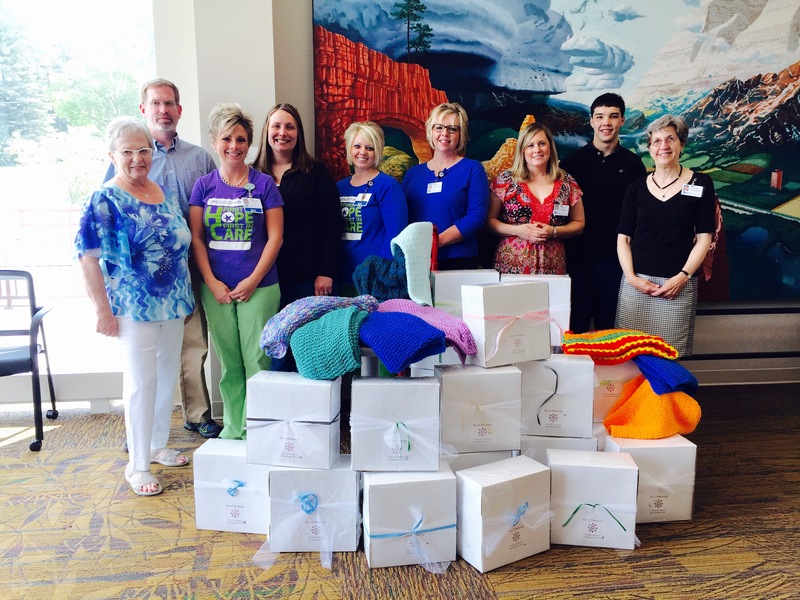 We have the opportunity to provide Care Kits to individuals receiving treatment at the Lake Region Cancer Center. Care Kits include items that will help to make the treatment process a little easier to bear: they are intended to provide comfort and hope. Each Box of Blessings has been prepared by our youth and is distributed by the Cancer Center. In this way we can be a partner with our neighbors fighting cancer—we can be one more piece of their treatment team. One Friday a month, volunteers from The Federated Church assist in filling orders for people from the community who come to the food shelf in need of a little extra help putting food on the table. Volunteers from The Federated Church deliver meals made at the Fergus Falls Senior Center to elderly people in Fergus Falls. When it’s Federated’s turn to deliver meals, phone calls are made to get volunteers to take each route for a week. The Federated Church partners with The Salvation Army to meet immediate needs in the community of Fergus Falls. 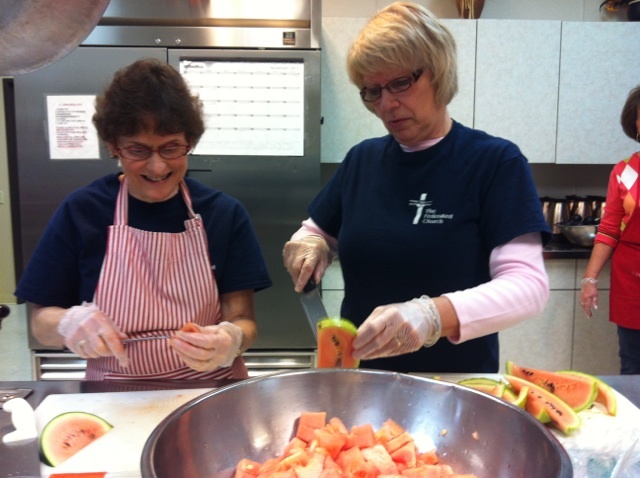 One way we have been helping out is by providing volunteers to assist with making the noon meal on Mondays. Every first Wednesday of the month, the youth group volunteers at a local organization. Past volunteer opportunities have included stocking shelves at the Food Shelf, picking up trash around Lake Alice, sweeping and mopping after-hours at a local thrift store, and helping at a community garden run by the hospital. 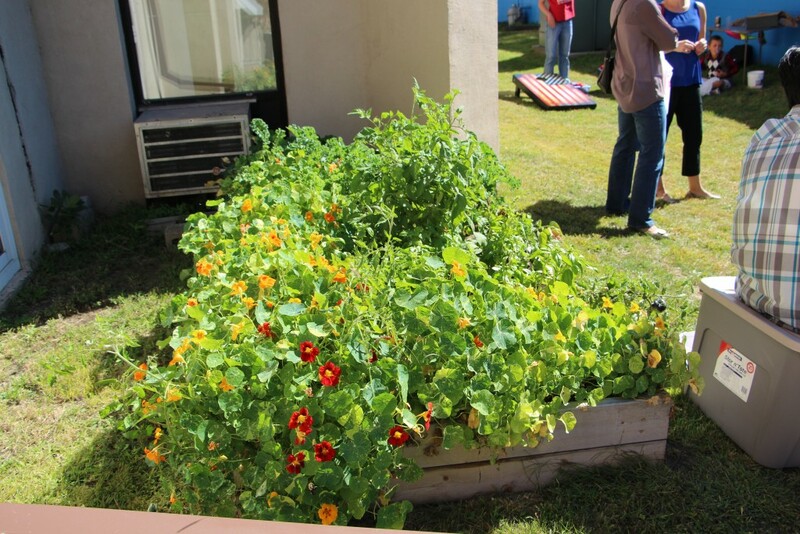 The Federated Church is in the process of converting the alleyway behind the church building into raised-bed gardens. The produce from the gardens will be offered to Federated Church members and people who come in to the church office in need of food assistance. The Federated Church members are involved in various aspects of the community around us. Just about anywhere you go, you’ll find someone from The Federated Church volunteering time, organizing events, enjoying the arts, supporting local business owners, and participating in other activities needed for healthy communities. Members know the gospel affects every part of their lives, and do their part to be the good news to the community around them.